REINCARNATION is real. Old-time burger joints have vanished, felled by the marketing wizardry of McDonald’s, Jack in the Box and Burger King, but their spirit lives on through Teddy’s Bigger Burgers on Monsarrat. Teddy’s claims to be “reinventing the burger joint,” but really, it has just polished up a somewhat tarnished institution, selling it with a little bit of ’90s ‘tude — smart, sassy and oh-so-savvy. The menu is short and sweet. 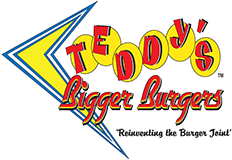 You’ve got your “Teddy’s Original Bigger Burger” in big (5 ounces of beef, $3.75), bigger (7 ounces, $4.50) and biggest (9 ounces, $5.25) sizes. The biggest is by far the tastiest and best textured, the big being a little too smooth. The burger itself is 100 percent ground chuck, with less than 3 percent fat, that is hand-shaped, then broiled. It’s a burger born from popular backyard barbecues of partners Rich Stula and Teddy Tsakiris, who provided the recipe. Diners can have a little variety every time, calling the shots on such toppings as a secret sauce, mayo, lettuce, tomato, onions and pickles. The only additions that cost extra are bacon (75 cents) and American cheese (35 cents). What? No cheddar? $5.75). The latter is a burger topped with a golden slab of hash browns. Vegetarians can opt to do away with the beef patty and have the hash brown patty with toppings. They also have daily specials. One is an burger topped with avocado. Fries cost extra. Get ’em sprinkled with a spicy pepper or garlic salt, or slathered with gooey liquid cheese, at $1.25 to $2.25. As if this isn’t enough vice, there are also old-fashioned floats and real chocolate, peanut butter, vanilla or strawberry shakes ($2.95). Gobble it all at soda fountain-style seats. There’s room for 10. It takes cajones to serve something as simple as burgers and fries at a price higher than most fast-food specials. But if you build a decent burger and package it with a great theme, they will come.